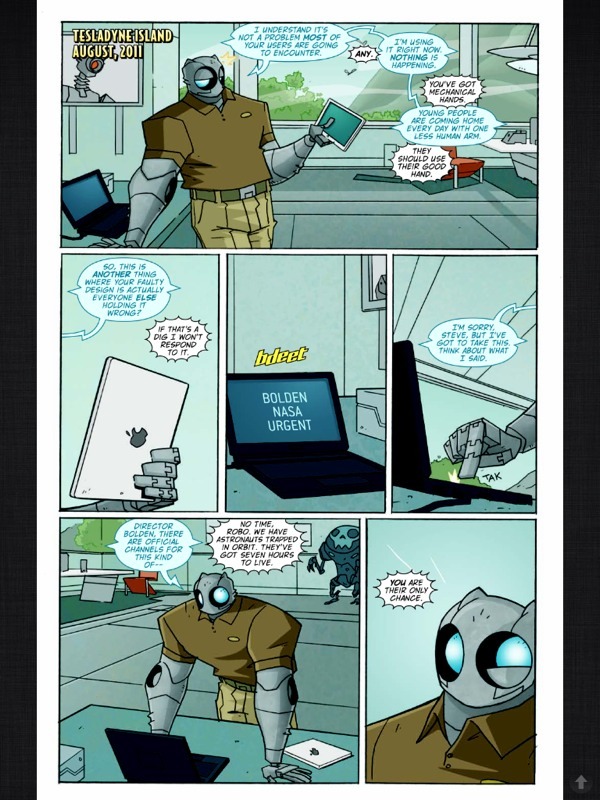 I may of mentioned that I am a fan of Atomic Robo. One of the many things I like about the setup of these mini series is that you can pick up any of them and read. That includes any of the FCBD issues or any of the volumes. Volume 6 has all this and more. 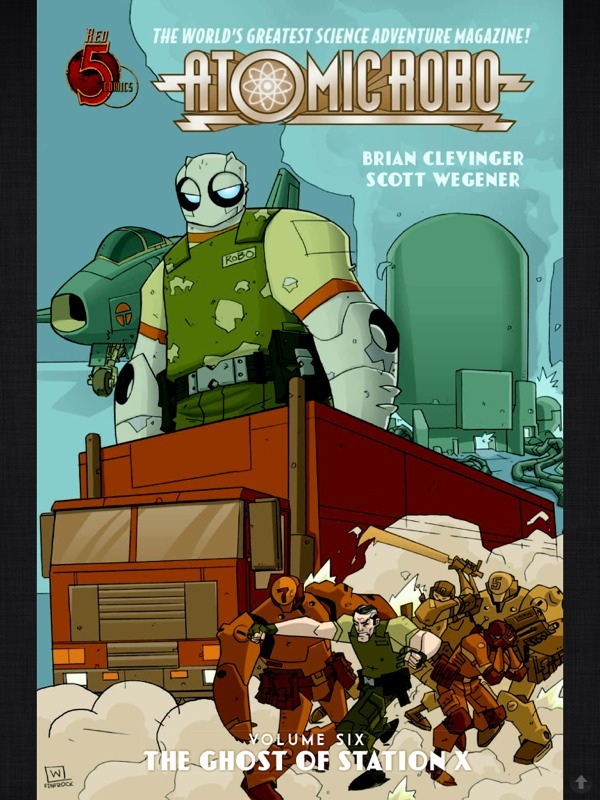 Any comics fan can pick up this series and start reading. Although there are some nice touches here which hark back to previous issues, but not in a way that will detract from your enjoyment of this title. The Ghost of Station X has so much things it has a ready mix of guns, space, AI, explosions, water, science and action science. 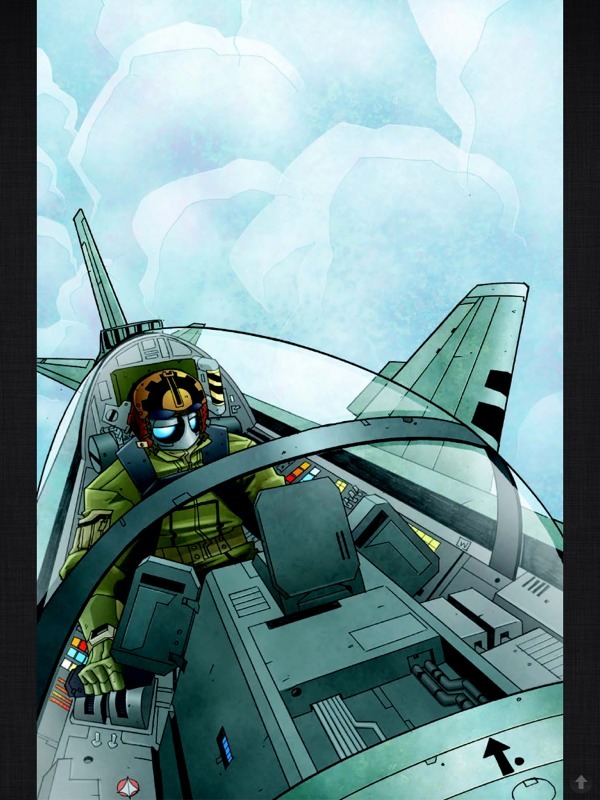 This is a fast paced story which races through, but still keeps you in touch with the story. There are some brilliant aspects to this story – I really enjoy the pseudo science of whats going on here. There are so many points here which are close to what we could be seeing. *As an aside – I do love the “S-Foils to attack position” part! The art comes on in leaps and bounds here – with some excellent wide shots and covers – but some of the talking heads are excellent too! 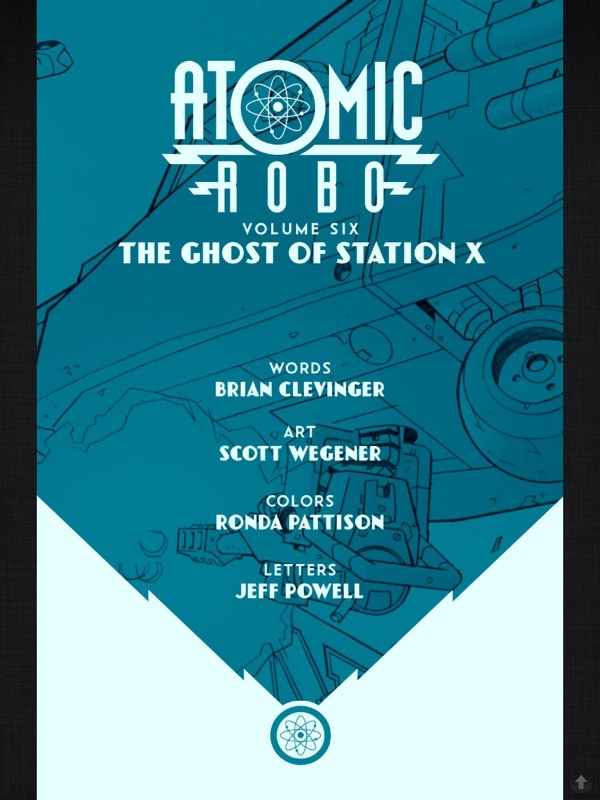 So, to finish this – Red 5 – more Atomic Robo please!